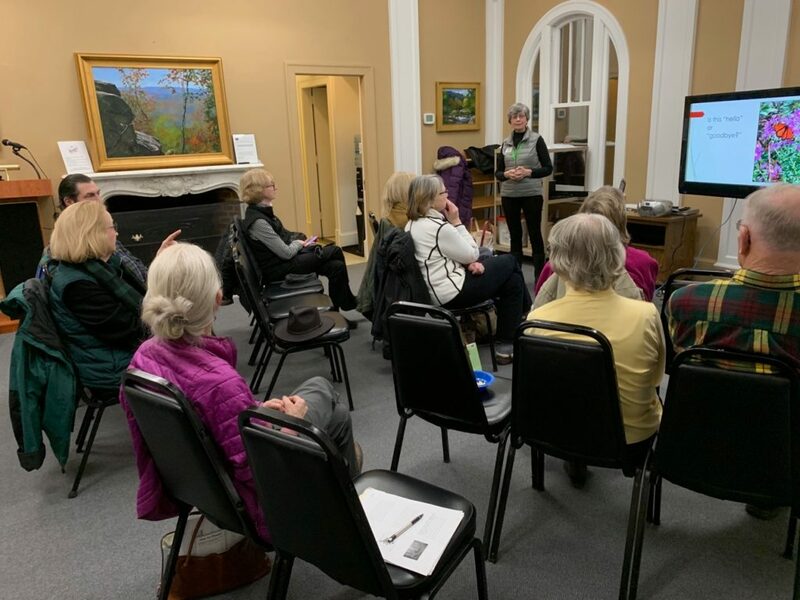 On February 12, 2019, Somers Knight (local Millboro Elementary School volunteer, retired public school teacher, and a Virginia Master Naturalist) presented her program on “Monarch Butterflies and Master Naturalist” as part of the 2019 Salon Series at the Bath County Public Library. Mesmerized and intrigued by Somers’ firsthand tales of raising monarch butterflies in her elementary school classroom and local volunteering, attendees learned facts about monarchs, their life cycle, migration, and strategies for helping support habitat for Danaus plexippus, Monarch butterflies. 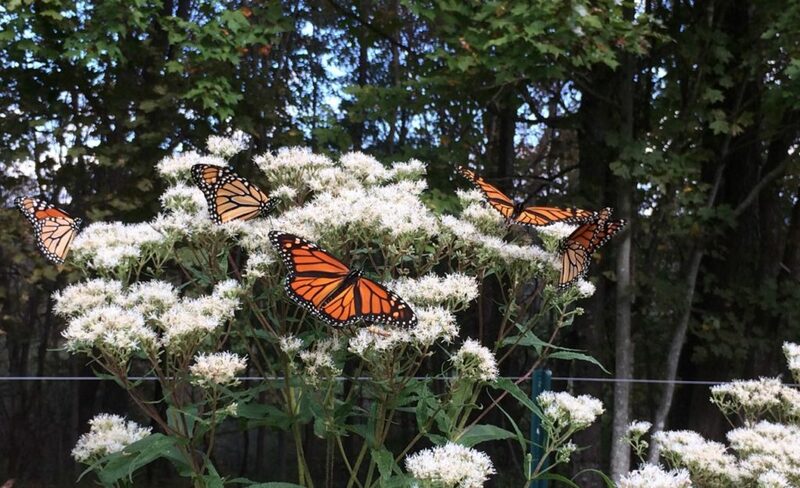 Although Monarchs frequent a variety of plants (including boneset, Eupatorium perfoliatum– see photograph), these magnificent butterflies cannot survive without milkweed to eat and on which to lay their eggs. Monarchs and other milkweed specialists feed on milkweed, digest the substances, build up their own body substances, and store components of milkweed sap in their bodies. Because the bitter-tasting cardiac glycosides in milkweed sap, in high doses, can be fatal to an animal, some citizens rush to remove milkweed from their tended properties. Holdrege offers that this rarely happens in nature, as pre-lethal doses typically induce vomiting in the herbivore eating the milkweed plants. Most importantly, milkweed provides valuable nectar resources to bees, butterflies, flies, and a host of pollinators. In our (Bath County, Virginia) area, Asclepias tuberosa (Butterfly weed),Asclepias incarnate (Swamp milkweed)and Asclepias syriaca(Common milkweed) are the preferred milkweed types. As one might infer, swamp milkweed prefers moist soil, but will also grow in well-drained gardens and likes full sun. Local residents who maintain their own utility rights-of-way may transform these utility corridors into Monarch and pollinator habitat by planting milkweed and other pollinator-supporting wildflowers. Residents planting pollinator gardens and dedicating areas for native species not only provide habitat for pollinators, but provide necessary pollinator support for home gardens and farms in our area. Got milkweed? In spring, look for existing milkweed sprouts to emerge. Through May and June, vigorous shoots grow 3 to 5 feet, surpassing goldenrod. Within a colony (one milkweed plant with its many shoots), flowering typically lasts about 4 weeks. July, August, and September see milkweed pods slowly grow and seeds develop. By October, early November, and into winter months, seedpods begin to open and white silky comas allow seeds to be carried away by winds. As this timeline suggests, providing habitat for milkweed affords many opportunities for enjoyment, observation, connecting, and celebration! Citizens who wish to plant milkweed have many opportunities for seed and plant purchasing and for learning about the Monarch butterfly through a variety of websites, including www.saveourmonarchs.org, www.monarchwatch.orgwww.monarchjointventure.org, and www.livemonarch.com. For a free sample of milkweed seeds, send a stamped, self-addressed envelope to Live Monarch – 2019 Seed Campaign, P.O. Box 1339, Blairsville, GA 30514. Many thanks to the Salon organizers – Ronda Clayton, Lee Elliott, and Bill Jones – and to presenter Somers Knight for a delightful evening! The following was submitted to the Journal of Medicinal Plant Conservation for inclusion in the Spring 2019 publication. We’re writing this summary, comfortable in our little cottage, while the land around us is experiencing the polar vortex, griping much of the nation this January (2019). While we’re concerned about the health of our plants, we take comfort in knowing our work to improve soil health improves the resiliency of our sanctuary and its ability to respond to ever-increasing severe weather events associated with climate change. Upon seeing our United Plant Savers sign, visitors inquire about the purpose of a botanical sanctuary. We enjoy sharing information about the UpS Botanical Sanctuary Network and how we feel we’re contributing to the UpS mission. On several occasions we’ve had to clarify that the network initiative is a partnership between a non-profit organization and citizens volunteering their land and labor, not a state or federally funded program. These conversations often drift to a discussion of who should regulate the growing, harvesting, preparation and dispensing of herbal medicine. Until the plants can speak for themselves, we’re happy to be their spokespersons! 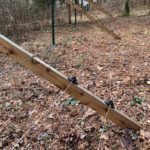 Taking advantage of the significant slope of our land, we installed a series of swales, each with a themed plant (medicinal herbs, berries, and nuts). 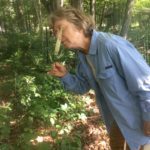 In the nut swale, hazelnuts and chinquapins should be of sufficient size in a couple years to provide enough shade and protection for the incorporation of at-risk medicinal plants. Our task this year is to identify (and grow) plants associated with at-risk medicinal plants in nature. In addition to planting these “companion” plants, or “guild members,” in our forest, we will incorporate them into our swales so at-risk medicinals will feel right at home. Between our swales, we allow just enough space for walking paths and let the rest of the land to go wild with native grasses and wildflowers. In 2018, we gave nine presentations on sustainable land care practice, highlighting our botanical sanctuary. These presentations addressed diverse audiences ranging from local garden clubs, native plant societies, patrons at public libraries and even one at a the Biodynamic Farming conference in Portland, Oregon. 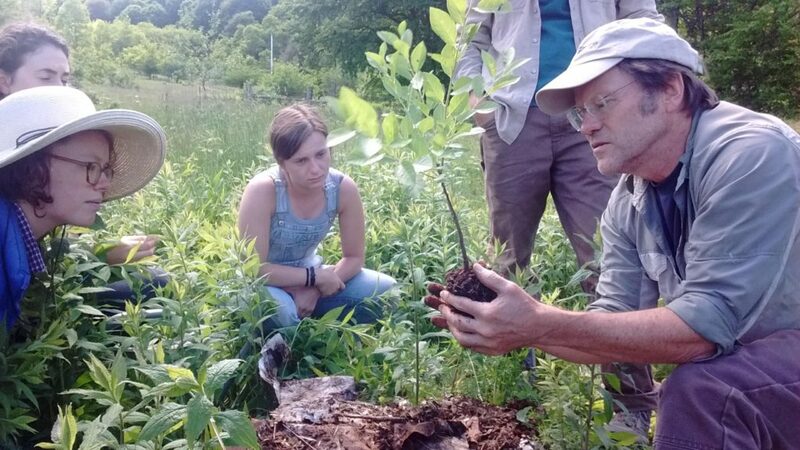 Joe taught a day-long workshop on woody plants at the Allegheny Mountain Institute, a permaculturally-inspired educational non-profit organization training young adults in creative food growing systems and public outreach. Anne was a featured herbalist at our local farmers market. We appreciate the support and information made available by UpS on their website, Facebook posts, and in the Journal of Medicinal Plant Conservation. Reading about the great things happening at the UpS Botanical Sanctuary and the other sanctuaries in the network, renews our sense of purpose and realization that our sacred 7 acres is part of a much greater whole. This article was submitted for publication in the 2020 Stella Natura calendar. I encourage you to purchase a calendar (or two) to support the great things going on at Camphill Village Kimberton Hills. Ask homeowners about their landscapes and more often than not, you’ll hear a mournful tale of plants performing poorly. They myopically focus on specific features of their landscapes and fail to consider how the different “parts” could ever work together. 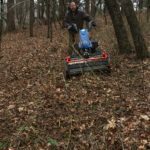 Believing they lack the necessary knowledge to improve their landscapes, many homeowners turn to experts in the traditional landscape management industry to fix perceived problems. Yet the following year little has changed, or worse, the health of their land further degraded and their plants dependent on fertilizers and pesticides. In one year, a homeowner may hire a landscape designer followed by a tree expert, turf expert and a horticulturist or gardener. Experts often operate in their own bubble and fail to appreciate that their actions impact everything in the landscape. The experts and the homeowner may view their actions apart from, rather than a part of, nature. Their voluntary ignorance aside, the fact remains: the parts of the landscape areinterconnected and the landscape itself is connected to the greater community. To use a human analogy, the homeowner’s property resembles a precancerous cell operating independently of neighboring cells. This cellular dysfunction can impair the health of the tissue (neighborhood) and even the greater organ (community) should toxins (pesticide and fertilizer runoff) be released into the circulatory system (community’s watershed). In response to repeated requests from farmers for Rudolf Steiner to provide guidance on how they could reverse the trend of soil degradation and reduced yields, Steiner gave an eight-part lecture series on agriculture in 1924. These lectures outlined principles to improve soil and plant health; afterwards they became the basis of Biodynamic Agriculture. Horticultural practices used in traditional landscape management have been influenced by the industrial agricultural model and, not surprisingly, produce similar problems on residential landscapes. Just as farms can be transformed by Biodynamic principles, I believe residential landscapes are capable of similar transformations. An understanding of Steiner’s agriculture lectures deepens one’s relationship with the land, be it a farm, garden, or residential landscape. 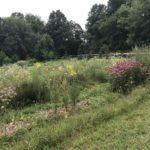 The principles outlined by Steiner, particularly the concept of a farm individuality, can provide a way forward for homeowners struggling with their landscape’s identity. Early in his lectures Steiner introduced his concept of a farm as an organism or individuality. Steiner concedes that although it’s unlikely one will ever achieve a farm that’s absolutely self-contained what’s critical is that one develops a holistic perspective in order to recognize the interconnectedness of all the farm’s components. Furthermore, Steiner said that there are non-material properties associated with the flow of energy and substances between the components of the farm that are not apparent to farmers only considering the outer material realm. I’ll attempt to provide my own interpretation of this imperative – homeowners should try to maintain the fertility loop on their properties by composting existing materials growing in the landscape, not bringing in compost produced from another location. In other words, over time, the landscape individuality will be able to detect excesses and deficiencies and make modifications to achieve balance. George Washington Carver, a contemporary of Rudolf Steiner and also a spiritually minded scholar, shared this idea of the farm as a self-contained entity. Although Carver’s primary focus was on helping southern black farmers achieve self-sufficiency, and viewed a reliance on chemical fertilizers counterproductive, his core belief was that to rely on external inputs implied that the farm was in some way deficient, an idea untenable to Carter. Steiner’s description of a farm as an individuality can be applied to residential landscapes because both entities are ecosystems – a biological community interacting with its physical environment, a term that didn’t come into existence until 11 years after Steiner delivered his series of agriculture lectures. Believing in the axiom that “the whole is greater than the sum of the parts,” Steiner encouraged farmers to hold the holistic perspective when considering how the parts work together synergistically. 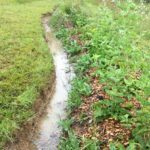 With a few modifications, the same Biodynamic principles used for the farm can be used for the landscape, the obvious exceptions being practices involving animals (manure and materials for making the preparations). The other Biodynamic principles can be performed on a residential landscape as they would on a farm: composting with the six compost preparations, use of potentized liquid field sprays, striving for biodiversity, and working with natural rhythms of the earth and cosmos. With this new focus on the landscape individuality, previously perceived weed and pest problems (should they occur) become valuable indicators to help the homeowner make small and slow adjustments to return balance back to the landscape. In some ways, it may be easier to work with a residential landscape than with a farm as an individuality: first, there’s no harvest and exporting of materials with the loss of nutrients from the property; second, since the plants in a landscape are primarily perennial, there is less disruption of the land and the perennial shedding of plant material can stay in place as mulch or be used in composting; and finally, typical residential landscapes are significantly smaller than farms and easier to maintain. I have been maintaining a Biodynamic landscape around our home for five years and have experienced a deeper relationship with nature than I ever have in my previous 30 plus years as a professional in the landscape industry. I have found it deeply satisfying to witness our landscape’s individuality emerge and surprising at times to watch it act on its own volition. These moments of surprise serve as a mirror in which I can choose to see myself or to see the whole; to either be apart from, or a part of, nature and the landscape individuality. Nature has an impulse to perform what ecologists call “secondary succession.” I’ve observed abandon pastures on neighboring properties undergo changes in plant communities, eventually ending with a specific climax community, an oak-hickory forest for our region. Similarly, I see nature’s successional impulse on our property as I mow the lawn and encounter pioneering representatives from the adjoining forest advancing the forest farther into our yard. The regularly mown lawn and primped flower beds represent my impulse to achieve an outcome (albeit unsustainable) while the advancing forest represents nature’s impulse to undergo succession to restore a climax community as its outcome. However, there’s a third impulse, the most special places on our landscape, where the individuality of the land emerges, a combination of my desire mixed with the land’s impulse. These are areas where natural succession seems to have placed itself on “hold” in order for a new dynamic equilibrium to occur. Two examples illustrate this new dynamic equilibrium, what I believe is our land’s individuality expressing itself on our property. About eight years ago, our utility right-of-way corridor was, like neighboring utility corridors, overrun with brambles and invasive plant species growing on degraded soil, a result of aggressive trimming and spraying of herbicides by utility contractors. To encourage pollinator insects and discourage trees from taking root and growing into overhead electric lines, I set about the Sisyphean task of replacing the undesirable plants with what I believed to be more appropriate native species. Frustrated at not seeing “my plants” becoming established and realizing my task was futile, I approached the problem differently, investing my time making observations of the land. I felt as if the land was attempting to do something. I observed an increase in native wildflowers and grasses (which I did not plant) as the land rapidly transformed the utility corridor into a goldenrod corridor, providing wonderful habitat for pollinators and many other insects. An added benefit further satisfied my initial goal: goldenrod releases a chemical inhibiting the germination and establishment of tree seedlings. In reflection, I wonder why this transformation to a largely self-sustaining pollinator corridor didn’t arise in the past and why nature has hit the pause button on natural succession. Perhaps what is happening at this moment is a new phenomenon not covered in my ecology textbooks. About five years ago I abandoned weeding our blueberry patch, again out of frustration, and admitted defeat in the war I declared on dandelions. Unfamiliar with growing blueberry shrubs, I assumed my bed should look like the pictures in books and magazines, weed free and mulched. In awe, I observed how fast dandelions completely enveloped the entire bed. As the bed was located in a prominent location, friends lowered their gaze to express sympathy that I had lost control and had obviously given up on gardening. They were confused by my enthusiasm for the blueberry patch and my reports that yields had increased, with fewer pest and disease problems. Turns out the dandelion blanket is just what was needed for blueberry shrubs and our soil. With its continual eruption of new leaves, the dandelion foliage serves as an effective green mulch throughout the year. The dandelion roots break up compacted soil and, with the aid of soil organisms, transform the soil into such a wonderful friable growing medium that we are reluctant to walk into the bed because our feet sink into the soil. The dandelions bloom all season to provide valuable support to pollinators otherwise dependent on more restricted blooming periods of other plants in the garden. We harvested dandelion roots and added them to yarrow to make a splendid bitter tonic used before meals to aid digestion. Plus, the greens are a tasty addition to salads! If I had continued headlong into imprinting my control over my land, as many do, I might have escalated my tactics by carpet-bombing the land with fertilizers and strafing weeds and pests with pesticides. I’ve witnessed this war between property owners and nature for most of my career in the landscape industry. In fact, I’ve been both a hired mercenary and an arms dealer perpetuating this unsustainable attack on nature. Although I had heard of Rudolf Steiner’s description of a farm’s individuality in the past, I assumed it was a concept that applied to farms and farmers. However, upon realizing the futility of my actions attempting to control nature, I slowly realized that his message has a broader appeal to anyone open to a relationship with nature. I only wish I had taken Steiner’s lesson to heart sooner and declared peace with nature years ago. Steiner, R. 1993. Spiritual Foundations for the Renewal of Agriculture. A Course of Lectures Held at Koberwitz, Silesia, June 7 to June 16, 1924. Translated by C.E. Creeper and M. Gardner. Biodynamic Farming and Gardening Association, Inc., Kimberton, PA. Saving seeds as an act of societal justice. Are you a seed saver? If so, then you are part of a larger global movement saving heirloom and open-pollinated seeds under threat of extinction (largely as a result of industrialized agriculture and multinational agrochemical corporations closing in on controlling the majority of seed supply companies). Aside from fighting the good fight, we really cherish seed collecting at 7 Acre Wood. It not only connects us back to our gardening ancestors, but also connects us to future generations. Saving seeds makes economic sense. Saving seeds saves money. Thanks to the exponential production of seeds produced in each flower head, you’ll have plenty of seeds to share with other members of the garden club. You’ll recognize this savings when you can cross off seeds from your list of things to purchase for the 2019 gardening season. Saving seeds makes environmental sense. Recent research indicates that during this time of the years, flowers in your garden activate important bits of information in their seeds to give their offspring a “jump start” in growing your garden next year. For example, if your flowers have been activating specific genes to help them deal with soil challenges, the resultant seeds will germinate next year already primed and ready to deal with those same challenges faced by their parents. 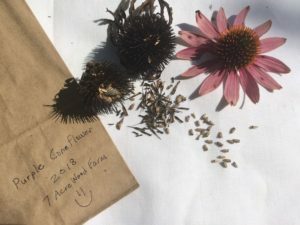 By seed sharing, we’re growing flowers that are better suited to grow in Bath County as compared to seeds produced from flowers from some other region in North America. Saving seeds uses common sense. The process for saving seeds is straight forward; simply collect, clean (sorting seeds from fruit or residual flower parts), dry and store. Don’t be shy about trying; deep down inside we all have the innate knowledge to save seeds. That little voice inside of you will guide you through the process. We like to store our seeds in small paper lunch bags, placed inside of metal trash cans in an outbuilding so the seeds can experience cold temperatures. Saving seeds makes good health sense. Traditional vegetable plant varieties typically produce more nutrient dense food than hybrid commercial varieties that have been bred for high yields and to be responsive to pesticides and fertilizers. Supporting seed savers makes ethical sense. Supporting local and regional seed-saving groups strengthens the network of seed savers and preserves plant diversity for future generations. 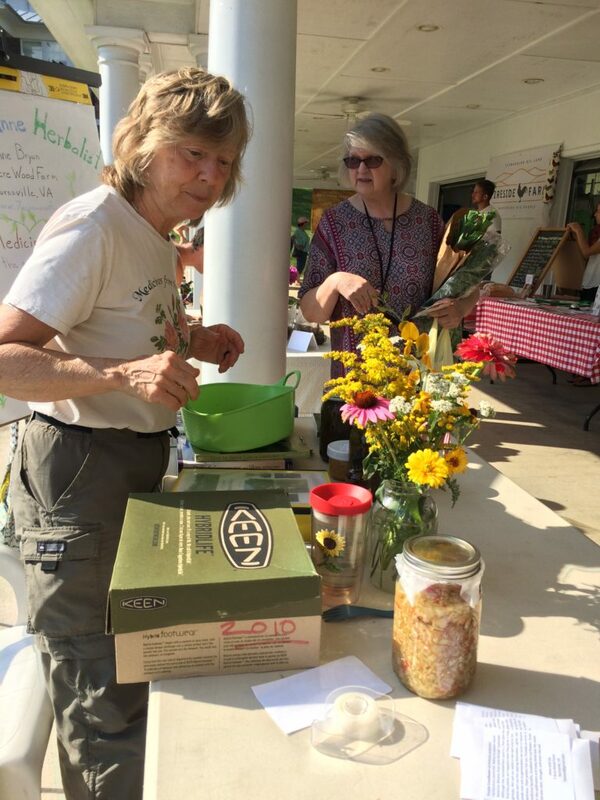 Ask Rhonda at the Warm Springs library how you can assist in her development of a seed-saving library. For more information on seed saving, contact the Seed Savers Exchange (www.seedsavers.org). Better yet, join this important organization and “stick it” to those greedy multinational agrochemical companies! Compost happens. Just as compost has always happened. Composting started immediately after life came into existence on earth, whether with the decay of simple bacteria along the shores of a primordial ocean or the remains of an apple in the garden of Eden. Just as there is an impulse in nature to build complex structures from simple compounds, there exists a corresponding impulse to disassemble those complex structures back into their original simple compounds. The art of composting works with the latter impulse, orchestrating the interaction between compostable materials and organisms responsible for the disassembling. A walk through the forest illustrates the perpetual balance between growth and decay; in spring and summer, you’re aware of the leaves, charged by the sun, fueling the growth of plants. A visit to the same patch of woods in the fall and winter directs your attention to the forest floor, where last season’s leaf drop begins its transformation into a rich humus material that enters the soil. Many are drawn to composting because of the numerous benefits of compost’s primary ingredient, humus, the dark brown organic matter resulting from the decomposition of plant and animal materials by microorganisms. Composting helps improve the environment by decreasing landfill waste and by sequestering carbon into your garden’s soil. Biologically, humus serves as the primary food source for the soil food web. Physically, humus improves soil structure, porosity and water holding capacity, thus helping soils resist erosion. Chemically, humus expands the ability of the mineral components of soil (sand, silt and clay) to bind to nutrients. Although admittedly more esoteric, composting connects us with the “other-half” of nature associated with dying, death, and decay. Often, gardeners focus solely on the germination, growth and harvest of plants and pay scant attention to the remainder of the greater cycle at play in their gardens. Actively becoming involved in composting not only helps achieve the benefits previously mentioned, but provides a sense of balance to the garden and gardener as well. Composting has produced a history as rich as the humus material for which compost is valued. Humans probably recognized the benefits of composting over 10,000 years ago while transitioning from hunter-gatherers to an agrarian existence. It would be hard to escape noticing the difference in plants growing in the immediate vicinity of manure from a domesticated animal compared to plants not exposed to manure. Early farmers experimented with combinations of plant material and animal manure to create compost to improve soil fertility. One of the earliest known composting recipes was recorded on clay tablets around 2300 B.C.E in the Mesopotamian Valley. Throughout recorded history, composting recipes and procedures were included in publications as diverse as bureaucratic manuals and religious documents. Written accounts of composting are found in the works of William Shakespeare, Sir Francis Bacon, and Sir Walter Raleigh. As early Native American civilizations in North America developed their own composting operations unique to their methods of growing food, many of those nations in the eastern region of North America shared their techniques with early European settlers. George Washington, Thomas Jefferson, and James Madison were keenly aware of the importance of composting to agriculture and wrote often in their correspondence about the success of different techniques employed in composting and their use of compost. In the middle of the 19th century when agricultural scientists discovered that plant roots absorb nutrients in an inorganic form, a shift occurred from composting to the application of synthetic soluble fertilizers to provide specific nutrients in a form in which they could be readily absorbed by plants. The research methodology at that time failed to detect that those nutrients were already present in sufficient quantities in the humus (organic matter), living organisms, and mineral components of healthy soil. We now know that the action of a healthy soil food web, with sufficient and diverse sources of organic matter, releases the necessary nutrients at the time and in the form appropriate for plant root uptake. In contrast, land grant agricultural institutions and government regulatory agencies (both largely coming into existence just after 1862) embraced the application of synthetic soluble fertilizers as the preferred way to provide nutrients to the root zones of crops, thus dismissing the use of compost as antiquated and inefficient. Period extension publications professed that regular use of synthetic fertilizers would allow for the growing of one crop (monoculture) across a large swath of land, year after year (monocropping). Soil was no longer viewed as a living organism, but as a substrate in which to grow plants with regular applications of synthetic fertilizers. This transition, marked by the rejection of composting in favor of widespread use of synthetic fertilizers, coincided with a larger movement in agriculture where land management centered on an economic or utilitarian-based ethic. 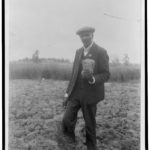 George Washington Carver, full-length portrait, standing in field, probably at Tuskegee, holding piece of soil. 1906. Frances Benjamin Johnston, photographer. Many organic farming pioneers emerged in the early 1900s including Rudolf Steiner, Sir Albert Howard, and J.I. Rodale. 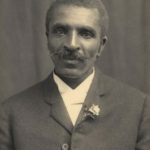 Celebrating Black History, I wish to draw attention to an unsung hero in the organic farming movement in the United States, George Washington Carver. I’ll leave it to the biographers to share the heart wrenching tragedies and incredible triumphs that punctuated Carver’s life and simply add that our nation is fortunate that young Carver overcame significant challenges in his youth to eventually attend Iowa Agricultural College in Ames, Iowa (now Iowa State University), and have the foresight to study agricultural sciences and the new field of ecology. Before settling into what would appear to be a comfortable and productive career in education and research in Iowa, he was recruited by Booker T. Washington to start up an agricultural program at the Tuskegee Institute in Alabama. Carver showed himself to be a free thinker and offered a unique view of the farm as a complex ecosystem possessing diverse and interconnected components working synergistically to improve the resiliency of the farm’s health, allowing it to produce a variety of products. Carver’s outspoken opinion on the limitations and potentially harmful effects of synthetic fertilizers on soil and plant health placed him at odds with most agricultural scientists in academia throughout the country and even at his own institution. He believed that part of the solution for helping poor African American farmers become more self-sufficient involved decreasing their reliance on synthetic fertilizers. In a viewpoint consistent with permaculture design principles of today, Carver encouraged farmers to view their farms not in terms of scarcity, but abundance. He worked tirelessly to demonstrate how materials viewed as waste and weeds can be used for composting to improve soil fertility. Carver, a deeply religious man, freely admitted that much of his insight was obtained from listening to plants which he deemed to be communing with God. Carver was a pioneer in the American conservation and environmental movements; his call for farmers to move beyond a production mentality if it impaired soil health predated by 40 years what Aldo Leopold articulated in his essay, “The Land Ethic.” Carver’s warning of pesticides entering the food chain and human tissues would later be championed by Rachel Carson more than 50 years later in her book, “Silent Spring.” Although Carver was going against firmly entrenched dogma at the time, his message of improving soil health with organic matter today seems reasonable and self-evident. Soon after World War II, the industrial agricultural mindset of controlling nature and forcing higher yields in agricultural fields transferred to American home landscapes. 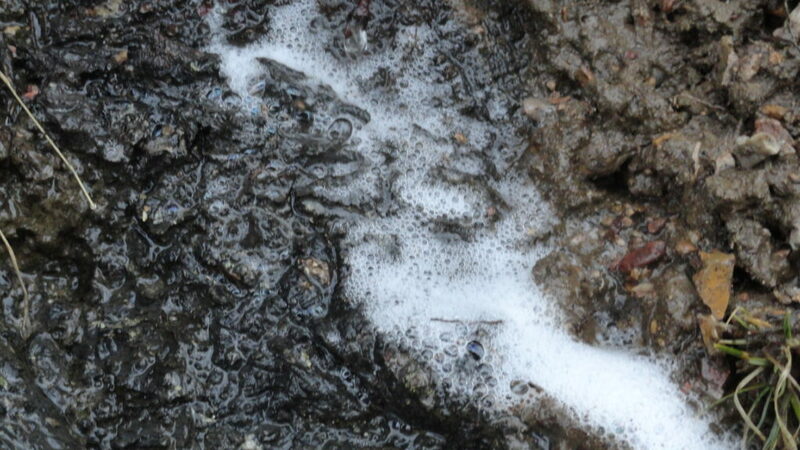 Like a chemical fog sweeping across a farmer’s field, a wave of compost-amnesia moved across North America. Homeowners abandoned old organic ways practiced by their grandparents and instead turned to the promise of synthetic fertilizers for lawn and garden needs, while waging war against perceived weeds and pests with the spraying of pesticides. Today, many gardeners recognize the unintended environmental consequences and unsustainability of an over-dependence on synthetic fertilizers in agriculture and their home landscapes. To restore their garden’s soil health, homeowners are turning back to age old techniques, like composting, to grow plants without relying on synthetic fertilizers. This movement hasn’t escaped the entrepreneurs in the horticulture industry who have developed a plethora of composting “systems.” When homeowners compost simply, alternating grass and leaves in a pile on their property, they are demonstrating an act of reverence for the land shared by their great-great-grandparents. To learn more about the history of compost, and to explore ways you can make your own compost; attend one of Murray’s composting presentations in your area: Highland County Public Library (2 pm), February 25; Glasgow Library (6 pm), February 27; Lexington Library (6 pm), March 8; and Warm Springs Library (6 pm), March 20. 2017 was our first year as a member in the Botanical Sanctuary Network. The formal recognition from the United Plant Savers and seeing our name listed with the other like-minded conservationists across North America, we felt a difference in how we related to the land. Our first impulse in 2017 was to better understand what plants were growing on our property. Equipped with over one dozen plant identification books, we set out to identify as many plants as possible and were delighted to realize in our first year as botanical explorers, we identified 231 plant species! We were especially pleased to learn that over 90% of the plants identified had some medicinal property recognized by Native Americans. 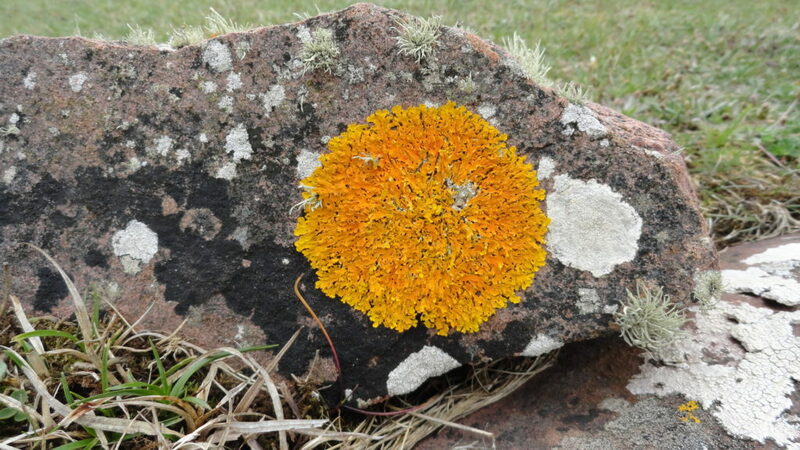 We will continue this identification quest in 2018 and expand our search to include bryophytes, lichens, fungi and grasses. To improve habitat for medicinal plants, we invested time and energy to fence off areas in the forest and meadows that contained plants listed “at risk” on the UpS website, denying the deer browsing rights to ginseng, bloodroot, black cohosh, echinacea, and goldenseal. These protected areas will now allow us to expand our plantings of cultivated medicinal plants and encourage the spread of wild medicinal plants. In keeping with permaculture design principles, we were able to turn what at first appeared to be a liability into a opportunity. Living at an elevation of 2,400 feet with a slope between 10-15% means two things; we live in a colder hardiness zone than our friends in town and, when standing outside, our feet are rarely level. We took advantage of relatively steep topography and created a series of swales to collect, move, and store rainwater. In 2017, we increased space dedicated to cultivated medicinal herbs by creating approximately 1,000 square feet of planting space in these new swales. After entering a partnership with our local electric cooperative in which we assume responsibility for managing the electric utility right-of-way with vegetation that will not conflict with the electric wires, we continue to transform the formerly barren landscape into a vibrant habitat that supports pollinators and medicinal plants. 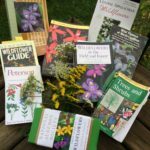 Last year we were both invited guest speakers at area garden clubs and local libraries and continue to accept invitations to speak on our medicinal herbs and efforts at creating pollinator habitat. In addition to sharing resources, herbal teas, tinctures, and salves, we also share seeds from our medicinal plants to family, friends, community members and participants at our workshops. This year, we are excited to accept an invitation to be instructors and share our knowledge and experience growing medicinal herbs at the Allegheny Mountain Institute, a permaculturally-inspired educational non-profit organization training young adults creative food growing systems and public outreach. *** Information provided below is for educational purposes only. Consult with your medical provider and/or a licensed herbalist before embarking on a journey with herbs. Use of particular prescription drugs and/or the presence of specific medical contraindicate(s) the use of specific herbs. Merrily A. Kuhn & David Winston’s Herbal Therapy & Supplements, A Scientific and Traditional Approach is my primary “go-to” when looking for contraindications with herbs. Rosemary Gladstar is a favorite of ours, whether you’re with her in person or watching via YouTube and links to her website ( sagemountain.com ), you’re in for a treat! Laughter and learning rolled into one! Certified Bee Friendly Farm (Pollinator Partnership). The Oversoul Seven Trilogy. Jane Roberts. 1973. Hay House, Inc. The Search for the Girl with the Blue Eyes: A Venture Into Reincarnation. Jess Stearn. 1968. Edgar Cayce: The Sleeping Prophet. Jess Stearn. 1967. Doubleday. Many Lives, Many Masters: The True Story of a Prominent Psychiatrist, His Young Patient, and the Past-Life Therapy That Changed Both Their Lives. Brian Weiss. 1988. Simon & Schuster. No Ordinary Moments: A Peaceful Warrior’s Guide to Daily Life. Dan Millman. 1992. H.J. Kramer, Inc. The Magic of Findhorn. Paul Hawken. 1976. Bantam Books. Permaculture: A Spiritual Approach. Craig Gibsone and Jan Martin Bang. 2015. Findhorn Press. Findhorn, Scotland. A Sand County Almanac: With Essays on Conservation from Round River. Aldo Leopold. 1949. Oxford University Press. The One-Straw Revolution: An Introduction to Natural Farming. Masanobu Fukuoka. 1978. Rodale Press. Scripture, Culture, and Agriculture. Ellen F. Davis. 2008. Cambridge University Press. Earthdance: Living Systems in Evolution by Elisabet Sahtouris. 2000. iUniverse. Gaia: A New Look at Life on Earth. James Lovelock. 1979. Oxford University Press. An Agricultural Testament. Albert Howard. 1943. Oxford University Press. Self-Reliance. Ralph Waldo Emerson. 1841. Gaia’s Garden: A Guide to Home-Scale Permaculture. Toby Hemenway. 2nd Edition. 2009. Chelsea Green Publishing Company. Restoration Agriculture: Real-world Permaculture for Farmers. Mark Shepard. 2013. Acres U.S.A.
My Work Is That of Conservation: An Environmental Biography of George Washington Carver. Mark D. Hersey. 2011. The University of Georgia Press. The Holistic Orchard: Trees, Fruits and Berries the Biological Way. Michael Phillips. 2011. Chelsea Green Publishing Company. Bringing Nature Home. Douglas W. Tallamy. 2009. Timber Press. Does It Matter? : Essays on Man’s Relation to Materiality. Alan Watts. 1970. Pantheon Books. Beyond the War on Invasive Species: A Permaculture Approach to Ecosystem Restoration. Tao Orion. 2015. Chelsea Green Publishing. The New Wild: Why Invasive Species Will Be Nature’s Salvation. Fred Pearce. 2016. Beacon Press. Voltaire’s Bastards: The Dictatorship of Reason in the West. By John Ralston Saul. 1992. The Free Press, Maxwell Macmillan International, New York, New York. The Lost Language of Plants: The Ecological Importance of Plant Medicines to Life on Earth. Stephen Harrod Buhner. 2002. Chelsea Green Publishing. Sacred Plant Medicine: The Wisdom in Native American Herbalism. Stephen Harrod Buhner. 1996. Roberts Rinhart. The Secret Teachings of Plants: The Direct Perception of Nature. Stephen Harrod Buhner. 2004. Bear and Company, Rochester, Vermont. Is your yard part of the problem, or part of the solution? No doubt you have heard that pollinators are not doing well. Pollinators are on the decline for a number of reasons ranging from pesticide exposure to introduced parasites and diseases. With pollinator populations decreasing, incidents of inbreeding are increasing, meaning effected species face environmental challenges with little genetic diversity. One of the greatest causes of pollinator decline is habitat destruction, specifically changes in land use. If you live in a house surrounded by a yard inhabited by just a few species of regularly mowed turfgrass, you share in the blame. While you may not have personally cleared away wild lands to build your house, we all play a role, however indirectly, in the loss of pollinator habitat. You may think that your yard isn’t having a harmful effect on pollinator habitat loss, but when viewed collectively with other skeptical homeowners across America, the impact is significant. The continued use of land conversion shows no signs of abatement, so habitat loss will continue. Perhaps we can slow the rate of pollinator decline by doing another type of conversion – converting portions of our yards into pollinator habitat. Is your yard part of the problem, or part of the solution? If you think you can live without pollinators, think again. Pollinators assist in the reproduction of over 80% of the world’s flowering plants. At least 90% of the nation’s apple crop is pollinated by bees and one-third of all agricultural crops depends on pollinators. According to a Cornell study, crops pollinated by honeybees and other insects contributed $29 billion to farm income in 2010. The economic impact from declining pollinator activity in agriculture will be felt by all Americans with rising costs for pollinator-dependent fruits and vegetables in addition to the disruption of entire ecological systems. John Muir’s prophetic quote, “When we try to pick out anything by itself, we find it hitched to everything else in the Universe,” rings particularly true with respect to the interconnectedness of pollinators with other organisms. The US Fish and Wildlife Service has identified 50 pollinator species with populations so low they’ve been recognized as threatened or endangered. Wild bee populations have declined 25 percent since 1990. No pollinator species exists in a vacuum. If pollinators are unable to assist plants in reproduction, organisms dependent upon those plants suffer. The role pollinators play in maintaining biodiversity of flowering plants is now so obvious that scientists confidently correlate plant diversity with pollinator diversity. In short, the health of pollinators serves as an accurate indicator of the overall health of an ecosystem. The plight of pollinators has not gone unnoticed by policy makers at the state and federal levels. Every June [coinciding with National Pollinator week this year, June 18-24, 2018], governors throughout the United States, the US Department of the Interior, and the US Department of Agriculture formally recognize the importance of pollinators with proclamations, often following with mandates to federal and state agencies to examine practices that may impact pollinators. Every year, pesticide usage is increasingly scrutinized by state and federal agencies tasked with regulating their sale and use. 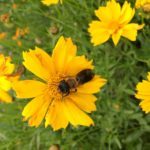 Many federal government facilities and state departments of transportation have made efforts to incorporate pollinator-friendly plants as part of a larger initiative to naturalize landscapes at federal facilities, along roadsides, and in highway medians. So, is there anything you can do to help pollinators? Absolutely! Recall that habitat loss is perhaps the greatest cause of pollinator decline. Imagine the collective impact homeowners can have on restoring habitat for pollinators if everyone makes an attempt to establish a small pollinator garden. A pollinator garden may be a flower bed, of any size, dedicated to growing native plants that can serve as habitat for pollinators. When selecting plants for your pollinator garden include, as a minimum, at least three species of flowering plants of varying sizes, shapes and colors, so at least one plant is blooming at any time during the growing season. Include night blooming flowers for moths and bats that pollinate nocturnally. Identify and encourage local “volunteer” plants, like dandelions and goldenrod, which support pollinators at the very beginning and end of the growing season. To minimize the distance pollinators have to fly, arrange your plants in “clumps.” Leave your pollinator garden through the winter to provide important cover for pollinators, saving the once a year mowing just before new spring growth. Native plant species better meet the needs of the native pollinators. When possible, try to purchase plant seeds from local or regional sources since those are better adapted to our local climate, soil, and native pollinators. Avoid modern hybrid flowers and “doubled” flowers which have been bred for aesthetics and not for what pollinators value – pollen, nectar, and fragrance. If you don’t want to research individual plant species, consider purchasing a prepared mix of pollinator-friendly flower seeds from a regional seed supply company like Southern Exposure Seed Exchange. Share extra seeds with your neighbor! Another benefit of selecting native plant species is that they are capable of growing without environmental subsidies like chemical fertilizers, pesticides, regular mowing, and irrigation. In fact, it’s in the best interest of pollinators that you eliminate the use of pesticides. Water needs for pollinators can be satisfied with a bird bath or shallow bowl with perches made of half-submerged stones. This article was submitted for publication in the 2019 Stella Natura calendar. I encourage you to purchase a calendar (or two) to support the great things going on at Camphill Village Kimberton Hills. I’m an arborist. Upon meeting people familiar with anthroposophy or biodynamic agriculture, the conversations often follows a familiar pattern. “So, you must find Rudolf Steiner’s description of a tree especially interesting,” they’ll say, referencing his eight-part lecture series on agriculture. Almost as an aside, Steiner offers a perspective on trees rather radical for his time in 1924. Placing spirituality aside, a reading of Steiner’s lectures today continues to provide a unique and refreshing understanding of Earth’s largest and oldest life forms – trees. There are as many approaches available to the reader to study Steiner’s agriculture lectures as there are people with different life experiences. Perhaps as a result of spending most of my adult life teaching science, my approach has been to identify patterns and mechanisms which underlie natural phenomena. 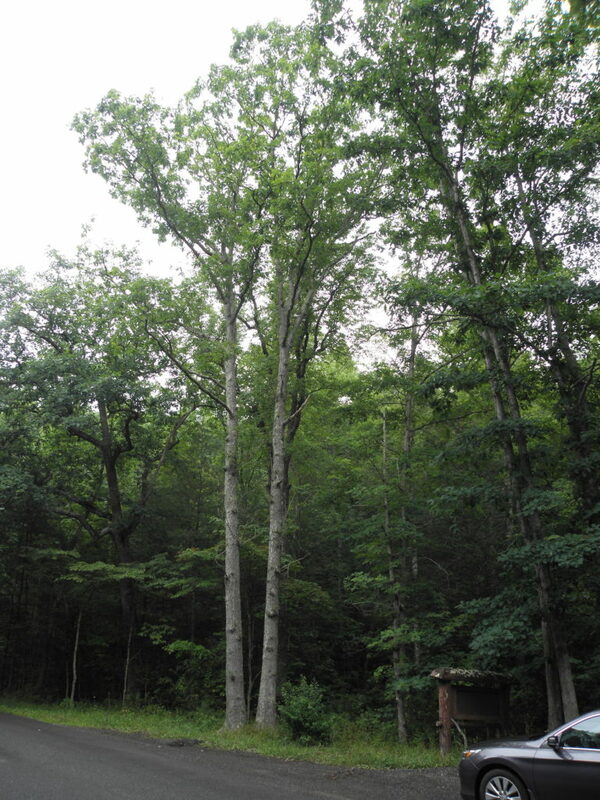 Although the focus of this article is on advancements in the physical realm of tree biology, for the author feels he still has much to learn about the spiritual realm of trees, the information should help both the novice and more seasoned readers of Steiner gain new insight into his descriptions of both physical and spiritual processes at work in trees. Scientists, today and in the past, wrestle with a working definition of a “tree” that distinguishes it from other members of the plant kingdom. 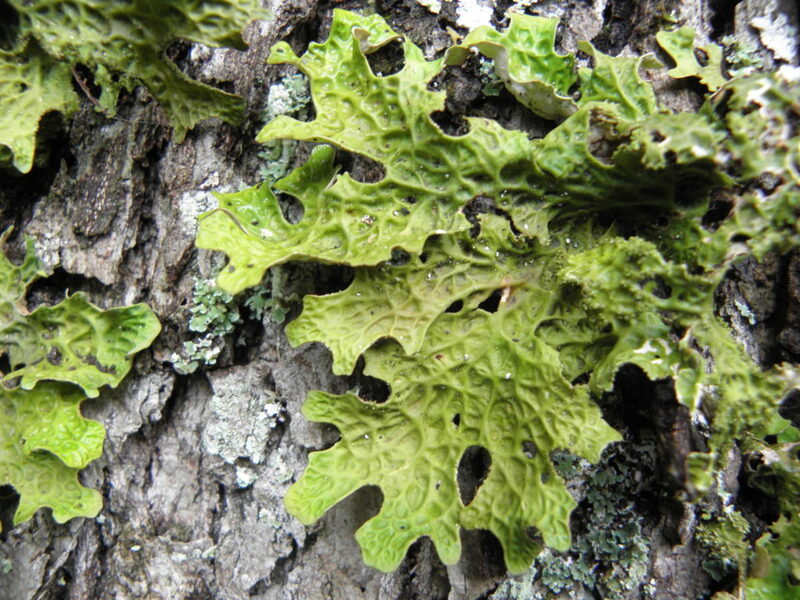 Biology textbook and dictionary definitions vaguely describe “a woody plant that’s perennial” but differ with respect to their confidence on height, number of trunks, distribution of branches, and other characteristics that vary considerably among trees. When presented with exceptions to dogmatic definitions, experts revert to the “I know it when I see it,” argument. Perhaps the problem with defining a tree is that a single tree, like a single bee or a single ant, doesn’t represent the larger and more complex life form – the forest as a superorganism. If trees are a subunit of a larger whole, where do “trees” end and other lifeforms begin? Steiner doesn’t attempt to craft a succinct textbook definition of a tree, but he does describe an organism physically and cosmically intertwined with other life forms. Perhaps it’s time to tug at the veils of our limited physical understanding of trees and consider what Steiner proposed about trees “fitting” into a larger organism, in his case, a farm. This article will consider two concepts introduced by Steiner: interconnectedness of trees to their soil environment, and the tree consisting of herbaceous plants “rooted” to the branches and trunk of a tree. Steiner set out in his fourth lecture to explain the importance of having an expanded awareness of subtle interactions of unseen substances, forces, and spirits to better manage one’s farm. Steiner used an example of a tree, an often overlooked fixture in the landscape, to illustrate how one’s preconceived ideas stifle further exploration that may generate new insights and a deeper understanding of the trees’ true essence. By questioning a division between the bark of a tree and organic matter in the soil as two separate entities, Steiner challenges the reader’s perception of boundaries between living and non-living. Although Steiner uses etheric vitality as the thread to connect the bark of a tree with organic matter in soil, one could just as easily use the soil life around the root surface, in the physical realm, and achieve the desired outcome – an understanding that the tree is such an integral part of the greater whole that seeing a tree as a single organism limits one’s ability to understand the bigger picture. One is not considered a radical today when recognizing soil to be a living organism. Steiner said as much in 1924, “the soil surrounding the growing plants’ roots is a living entity with a vegetative life of its own, a kind of extension of plant growth into the Earth.”1 Recognition of living soil is embraced and practiced by individuals today disillusioned by industrial agriculture’s approach to growing food. Increasingly people are referring to soil “health” instead of soil quality and mindful of practices that impair their farm and garden’s soil health. Organic and biodynamic growers often have a better understanding of living organisms in soil and speak in terms of feeding the soil with compost, instead of feeding the plant with chemical fertilizers. Focusing specifically on the interface between the plant’s root and the surrounding soil, Steiner continues, “It is not at all true that life stops at the plant’s perimeter. Life as such continues on, namely from the roots of the plant into the soil, and for many plants there is no sharp dividing line between the life inside them and the life in their surroundings.”1 Soil scientists have long known that unusually high populations of microorganisms exist in a zone approximately 2 mm around the surface of plant roots known as the rhizosphere. Plant roots secrete a variety of compounds to manipulate chemical and physical soil properties to attract beneficial microbes, even jettisoning actively secreting living cells into the rhizosphere which remain alive for several days. Recent discoveries show that plant roots and soil microorganisms disregard artificial boundaries to form a seamless transition of plant-microbe life within, and beyond, the rhizosphere. Select soil microorganisms, loosely called endophytes, can enter root tissues and improve a plant’s ability to tolerate drought, acquire nutrients, and resist insect and disease damage. Beneficial bacteria which adhere to up to 40% of the root surface are involved in relationships with organisms as far out into the soil as the food web extends. Indeed, we now have a greater appreciation of how a bird, perched on a tree’s limb, can fly down to the ground, pluck up an earthworm, and tug on the strings of a resilient soil food web, ultimately modulating populations of bacteria adhering to the surface of that tree’s root. Although not well understood in 1924, today soil biologists recognize the importance of the life that occurs within, on, and near plants’ roots, so much so that the rhizosphere has been called the most biodiverse and dynamic habitat on Earth. Just as there is no clear boundary between a tree’s root and living soil, likewise there’s no clear boundary between a tree’s twig and its parent branch, that branch and the trunk, and the trunk and root system. Iterative growth occurs throughout the tree, resulting in a continuation from the smallest of branches, to the smallest of roots. True, there are some anatomical and physiological characteristics unique to a branch as compared to a root, but the appearance and function are very similar and lack a feature delineating a boundary. This uniform development emerges from the action of a relatively small number of cells whose growth (cell division and elongation) and differentiation produce the more specialized tissues that make up the tree. In temperate regions, most trees grow in a pattern alternating between increasing in length and width, primary and secondary growth respectively. Primary growth, in the above-ground shoot system, occurs when buds grow into young green shoots with leaves, flowers and fruits. [A similar mechanism occurs below ground in the root system producing fine absorbing roots.] The most notable effect of primary growth is the elongation of branches and roots. Secondary growth, in the above ground shoot system, occurs when a thin layer of cells within the vascular tissue, the cambium, undergoes growth and differentiates into a new layer of xylem and phloem. Xylem is the water and mineral conducting tissue composing the wood or central bole of the tree, while phloem is the specialized tissue actively pumping sugars throughout the tree located just under the tree’s bark. It’s the action of the cambium, situated between the xylem and phloem, that produces the most notable effect of secondary growth, the addition of an annual ring of new wood on the tree’s trunk and branches with a resulting increase in diameter. For the purpose of this article, the canopy of the tree will refer to new shoots with leaves, flowers and fruits produced by primary growth, while crown will refer to the trunk and branches produced by secondary growth. At first glance, a tree appears to be a simple organism that results from the iterative growth just described; however, the areas of the tree produced by primary growth that interface with the atmosphere/sunlight and the soil environment parallel sense organs in an animal extending out in both directions from the more inert woody portion of the tree. In lecture 7, Steiner continues his unconventional view of a tree by suggesting the canopy of a tree, defined here as the products of primary growth, is similar to herbaceous plants “rooted in the twigs and branches of the tree, just as other plants are rooted in the Earth.”1 Steiner addresses the obvious confusion of his statement by acknowledging that physically there are no roots where the canopy is fixed to the crown observable by “coarse outer perception.” He states the canopy has lost its roots and remain in contact with the tree’s root system etherically. Is it possible that even with “coarse outer perception” one can view the tree’s crown as capable of serving root-like functions? A tree’s root system performs a variety of functions, five of the most recognizable being: absorption of water and nutrients; storage of starch; conduction of water, nutrients and sugars; structural stability; and production of hormones. Of the five functions, two, absorption of water and minerals and production of hormones, are primarily performed at the very ends of the root which may be considered a recent result of primary growth, not the secondary growth that produced woody tissue referred to as “root” and “crown” in this article. It’s interesting to note that the leaves, products of primary growth, also function in absorption (carbon dioxide) and, along with buds, production of hormones, the most obvious being the hormone auxin which stimulates the primary growth of roots. The three remaining functions of the root are just as easily fulfilled by the trunk and branches of the tree. 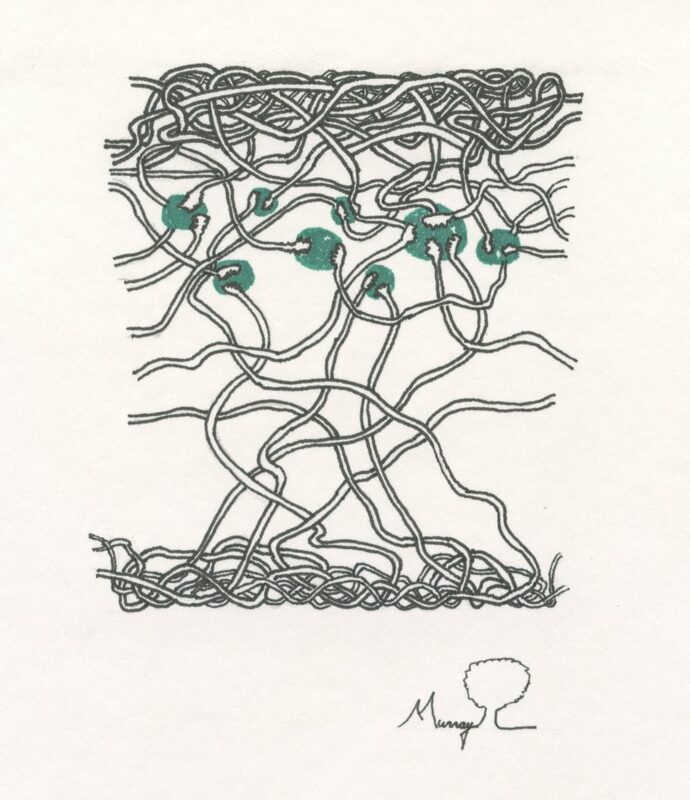 In other words, with respect to conduction, storage, and structural stability, one would be hard pressed to distinguish where the root ends and the trunk and branches begin. The vascular tissue is seamlessly linked from the roots through the trunk and branches of the tree’s crown. Like the roots, the trunk and branches are capable of storing starch, the preferred long term storage form of sugar. All parts of the tree modulate their growth to improve structural stability to remain intact in response to loads, such as gravity and wind. Through primary and secondary growth, the tree adjusts the number and orientation of roots, trunk and branches, including load-bearing components of cell walls, to optimize the tree’s ability to withstand loading events. To gain a more holistic perspective of trees, follow the movement of sugar, not just within a single tree, but as it courses through an entire forest. Within a tree, sugars move from where they’re stored, or produced, to where they are being utilized. This network of sharing selflessly extends to other trees and soil organisms. Sharing of sugar with other trees may not make sense when viewed from a single tree’s perspective, but from a forest’s perspective, this collectivistic practice creates a complex and redundant network that results in a more resilient organism. Interconnectivity among trees in a forest has lead some to marvel at the similarities between the World Wide Web with the forest’s Wood Wide Web. What makes trees one of Earth’s largest and oldest organisms is a single male quaking aspen tree that has become an entire forest in central Utah. The Pando forest measures over 100 acres and consists of a “tree” that has cloned itself by repeatedly growing over 40,000 trunks from its spreading root system. No doubt Rudolf Steiner would see the humor in experts stumbling on the terms “tree,” “trees,” and “forest,” trying to define this organism with its canopy “rooted” in the branches and trunks, which are in turn, “rooted” in a massive root system. So in response to inquiries about whether I find Rudolf Steiner’s description of trees interesting, I reply, “Yes!” Judging by the startled expressions on the faces of the inquirers, it appears my response is more than enthusiastic! 1 Steiner, Rudolf. Spiritual Foundations for the Renewal of Agriculture. Translation by C. Creeger and M. Gardner. 1993. Biodynamic Farming and Gardening Association. Kimberton, PA.